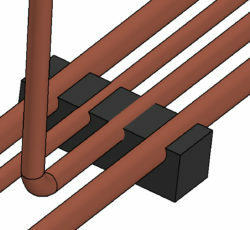 Butser Rubber are Rubber Pipe Clips, EPDM Pipe Clips, Custom Pipe Clip manufacturers and suppliers based in the UK. 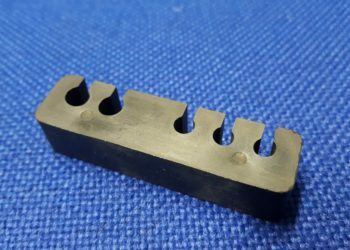 We can manufacture one off prototypes through to mass production of rubber pipe clips for a wide range of customers including those from industries such as Automotive, Aerospace and Agricultural, Formula 1 and Pharmaceutical. We can supply on Kanban delivery schedules for monthly call off. We offer a wide range of material choices to manufacture custom rubber pipe clips including EPDM, Nitrile, HNBR and Fluorosilicone. 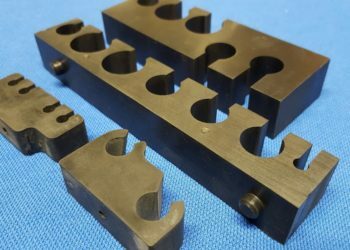 Our bespoke rubber pipe clips are designed to secure pipe, cable, tube and hose fittings to a fixed position. The rubber pipe clip can absorb resonant vibrations and movements when situated. We can also use our in-house bonding processes to bond the rubber piple clips to metal, plastic, carbon fiber and other substrates. Our state of the art German Injection moulding machines have allowed us to compete with Asia and East Europe manufacturers by offering short-lead times for prototyping and mass production applications. We also have specialist experience of bonding rubber pipe clips to carbon fibre and other hard plastics for high-end Automotive and Aerospace customers. Customers can select from over 350 different rubbers and silicones to meet project requirements. We stock specialist materials including Aerospace ultra high temperature rubber pipe clips (manufactured in Fluorosilicone and Flame resistant silicones) which can achieve maximum working temperatures of 250 Degrees C. We offer a Our Automotive EPDM rubber pipe clips are Burn tested in accordance to ‘Horizontal Burn Test to ISO 3795 (1989)’ Please state if you require any additional testing. We have the in-house ability to provide PPAP Level 3 documentation with our rubber pipe clips to support the production process. 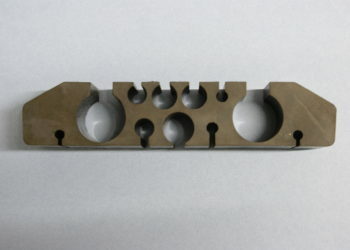 We can also provide First Article Inspection Report to AS9102 for first off production parts. Additional documentation available includes a Certificate of Conformity with full traceability back to the suppliers batch. Butser Rubber operate in-house precision CMM machines to ensure components meet required tolerances.